The English language newspapers corpus (SiBol) is an English corpus made up of articles collected from various English language newspapers of the years 1993–2013. The corpus contains around 650 million words in 1.5 million articles from 14 newspapers. The initial version of the corpus, containing UK broadsheets, was created in 2011 and was extended in 2017 to include newspapers from other countries including India, USA, Hong Kong, Nigeria and the Arab world, as well as UK tabloids. The corpus search can be restricted by a specific year, newspaper, author or date. The SiBol corpus was annotated by the TreeTagger tool using the Penn Treebank tagset with Sketch Engine modifications. The SiBol corpus was compiled by a small team of linguistics researchers at the Universities of Siena and Bologna. 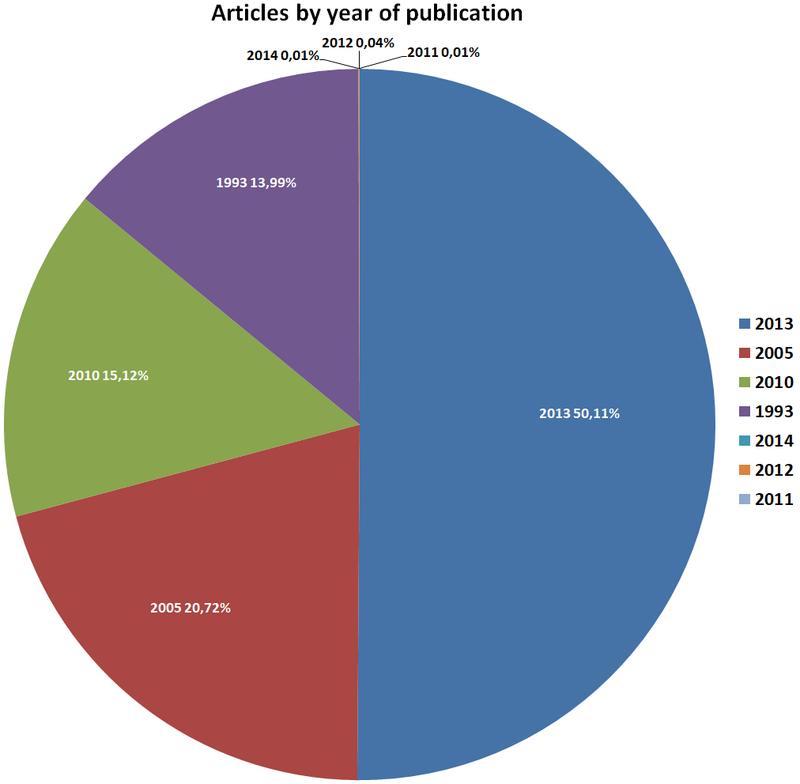 See graphs describing the distribution of corpus texts according to years and newspaper titles. 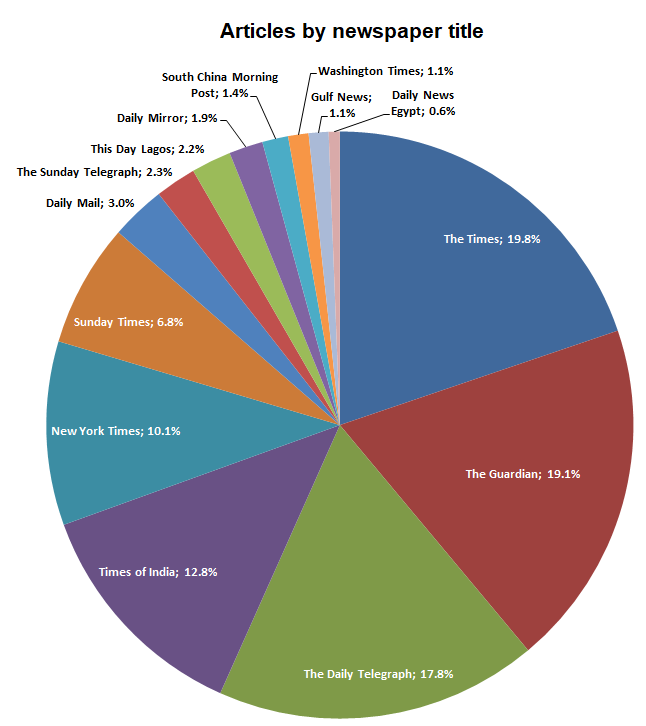 data added – 768,687 articles from 13 newspapers, including 9 new newspapers. 9 new newspapers include: Daily Mirror, Daily Mail, The New York Times, Washington Post, This Day Lagos, Times of India, Gulf News, Daily News Egypt and South China Morning Post. corpus updated using new English processing pipeline. The format of the corpus is now compatible with current user corpora. Sketch Engine offers a range of tools to work with the English broadsheet newspapers corpus.